As if the confirmation of XSEED bringing Pandora’s Tower to the states wasn’t enough for you, Capcom released some hefty details about their upcoming title in the ever heralded Monster Hunter series, Monster Hunter 3 Ultimate. 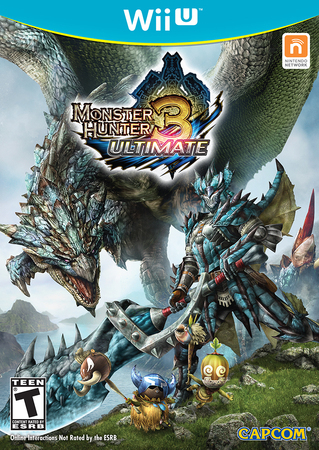 This announcement comes in the form of a press release littered with details including the release date, being March 19 in North America and March 22 for Europe, a new trailer, and both versions of Monster Hunter 3 Ultimate being available as digital downloads around that same time frame! A demo will be released as well February 21, to make the wait just that much easier. Capcom was also happy to announce the Wii U iteration will include voice chat and virtual keyboard, accessible from the Wii U GamePad. Unfortunately, their was a snippet of bad news near the end of the press release stating: The Monster Hunter Tri servers would come to a close April 30, 2013. Don’t fret fellow hunters, you still have plenty of time left to rid the land of those vile beasts. Previous Post:SEGA and Gogogic form Partnership, Expand into iPad & F2P Markets!